First off congratulations to 'De Bobb" on his undisputed claim to the Calypso throne after a persistent seven years of placing in the top five and having knocked relentlessly on the door. As he told me: "Jacko, nothing happens before it's time" and indeed it was his time. By achieving that feat he becomes only the third calypsonian to have won during the era of perennial monarch King Dice. Only Tasha P and, of course, Karessah have that accomplishment. Talking of Karessah whom I have referred to as our greatest calypsonian of this century because he writes his songs and is the greatest threat to Dice (Dominica's greatest Calypso singer/performer) for a number of years, I must was disappointed at his handling of the glitch in his performance in the Finals. This intelligent and experienced campaigner must be chastised for the abrupt way he left the stage in round one, creating the false impression that it was the band's problem. I have been reliably informed that it had to do with the precision and execution of his presentation team. In the future he should probably be less focused on what is behind and around him on stage and leave that to his stage co- coordinator, notwithstanding his brilliance in this area, which has in some cases, has tipped the judges score card in his favour in the past. I am afraid he has lost tremendous points with the fans in spite of his belated apology, after he added insult to injury by being a no-show in round two. Nonetheless, Karessah is a class act, and he will rebound. I will add here that the Swinging Stars throughout the season did a splendid job. Bobb's victory should be a lesson to all and sundry in all facets of life, not just Calypso. There are quite a few calypsonians who after two-three years of competing think that they should have won or have a divine claim to a place and had resigned prematurely. Not everyone can be a Tronada or Dice. For others consistency is what it's about. And judging from the many new fans that Bobb has added- a complete turnaround from those he sang that "did not like him," I am sure talents like Black Diamond and a few others must be reconsidering a comeback. Now everyone loves De Bobb. Such is the power of Calypso. In another article, for those who missed it, I have expressed my disappointment at the level of hypocrisy during debates over political justifications about King Dice's "Looters" when none of these commentators or talk show hosts except the outspoken and sometimes overly blunt Daryl Titre, made a meal of lyrics that suggested Maria took Titre on taking a stand for decency. Yes, more song writers are required and so it would be remiss of me not to recognize the works of Haxey over the past three seasons and before that Pelham Jno Baptiste. Still Haxey must realize that he has past his peak and making it to the Finals is just because of his brilliance as a writer with a composition which was both solid in lyrics, bounce and melody. Really the vocal quality of the presentation leaves much to be desired and so I would advise, unless a magic formula enhances that aspect he should join the Pat Aaron's, Tim Durand's, Pelam Jno Baptiste's and others where his skills can be used as a formidable song writer. Nonetheless, congratulations to him after an 18-year absence from a Dominican Finals. Moreover with his melodious ' saqui sahw c'est sahw' he should have reversed positions with Lugars who edged him out in Stardom's King of the Tent and I think maybe he should be given the Road March title. It is also instructive to note that Pat Aaron is continuing to distinguish himself as our greatest Calypso writer having penned five of the eight songs which placed. This is phenomenal and I trust that he also will consider workshops and compliment others who have shown an aptitude as we will not be here forever. I again want to advise the Dominica State College and The UWI to organize programmes on song composition as some of the other islands like St Lucia have done for a number of years. One Calypso fan raised a very pertinent issue with me arguing that once a pool of judges has decided that lyrics or melody have been given a grade, say 27 out of 35, then this should carry in every round as lyrics or melody cannot change-only your rendition or performance of that song. I stated that if you are probably dealing with one panel of judges that may be relevant but different people see the qualities of a song differently. He rebutted by saying he heard that well- known calypso critic Cecil Joseph changes his points for lyrics and melody all the time when these two factor are standard and does not change unless you do a " Scrunter" in a particular competition. Well, I brought it up so that Calypso pundits like Duncan Stowe whose views I respect the most among Calypso commentators, can debate as I think this fan's opinion is a fair comment. Speaking of Scrunter, whom I am sure could have contested Sye's third positions if he did not get carried away with attacking King Bobb, even below the belt much to the delight of the crowd using his expertise at ex- tempo. However, he strayed from the content of his song and to make matters worse he called for unity and extended the olive branch in the first round. This always makes me wonder about artistes who criticize politicians and do the same thing soon afterwards. The reason why I think guys like Hunter, Observer and Brakes are so well respected even up to today; they live up to what they believe- at least it appears so. Back to the Finials: Calypsonian Sye in his comfort zone with two fast songs was flawless and deserved his first placing in Calypso after about a decade in the business. Jaydee not as consistent as Sye in the finals but he wrote the best composition for the year while Stephan serenaded himself and the judges with his voice into the Finals. They all must be congratulated as well as the judges who, I think, got it right. Some unfortunate casualties in the season were Mandisa, Observer and Checker in the Quarters and Semis respectively but like the old soldiers, God willing, will come again and Mandisa is willing to go on and that she should. Just before closing my own review of this year I must say its okay when we have the 'Farma Nappy'and Marvin as part of our carnival but when our music is not promoted on the road when we had such great songs by the Haxey, Tasha P's "Wrong Plus Wrong,'' Stardom King Lugars' "Maria" or "Looters" which I can't say I regret did not feature significantly for reasons I previously advanced in the public domain. Still I can't remember if ever a Stardom King was not a finalist. I also wonder if or when will another country (with the exception of Antigua and the VI's where we have Dominican associations intervening on our behalf), when will a Dominican group or artiste be given an opportunity to perform in TNT, Jamaica or Barbados; and we are good enough-and calypsonians Tarina, King Hurricane, Janae and Tasha P most recently at UWI, have proven this fact. According to Mighty Robin, the Road March seems to be obsolete in Dominica today as everyone is marching to Bouyon and the bands promoting their own and there is no problem with that. So may be in the post mortem of Calypso 2018, one can discuss the pros and cons of judging the road march only when the songs are played by the Lapo drums, steel pan & carnival gangs during Jouvert. Another patron also extends the argument that Grandbay, Posse, Mahaut, St Joe and other communities should also be tallied as well. But when leading organized bands like Amnesia seem to make a concerted effort to promote Trini-Soca, it would still be a cause for concern. Finally, congrats to Dominica Calypso Association; Ras Kelly, Trendsetter, Observer, Haxey, Bassie, president Hunter behind the scenes this year, and the New Town Savannah Committee for staging successfully all four shows on the same venue; historical. 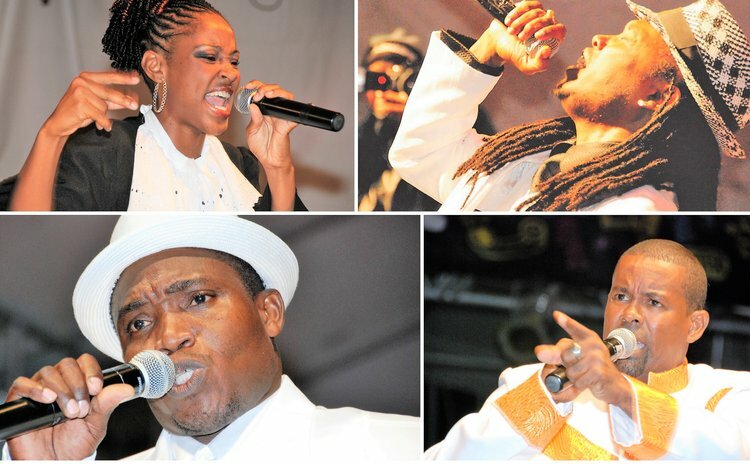 However, the calypso executive should listen to the voices of their own in Karessah and this year, king Scrunter and should try to move or create avenues through tours, accessing plane tickets, having our kings serve as guest artistes in other regional competitions promotions via other countries as this art form cannot be left to the calypsonian to do himself or merely because a song is good it will find success on its own or it's the calypsonian's only to promote his own, as an executive member seem to infer on a radio program. Yes, King Hunter is easily Dominica's most known calypsonian regionally and that was because of his own recordings, marketing efforts and resources. How many calypsonian have the acumen, contacts and resources behind them to do this? Therefore the DCA must take the lead in this effort. Grammax, Gaylords and Exile could not have made it big as they did if they did not get out there, despite the brilliance of their music.